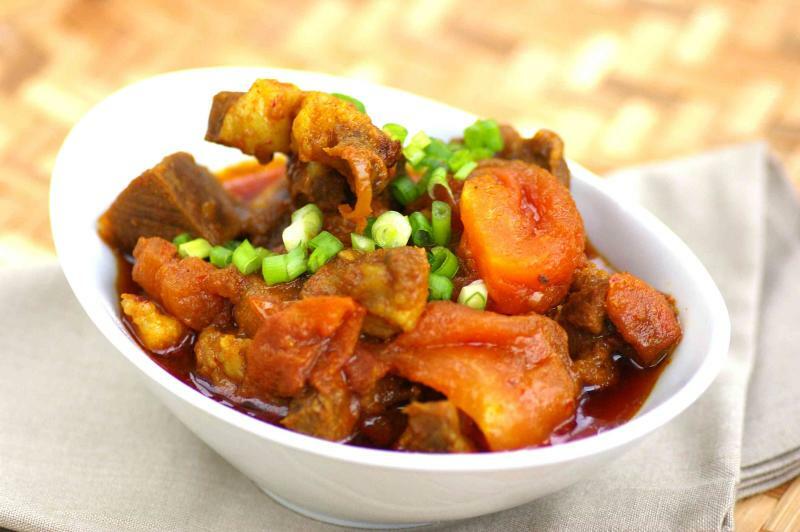 Asam and pedas flavours in one dish will make the taste buds dance. This recipe was first published in Amy Beh’s column, Cook’s Nook. Bring a pot of water to a boil. Add in the mutton and the aromatics. Bring to a slow gentle boil for 35-40 minutes. Remove the mutton, reserve the stock and discard the rest. Heat the oil in a casserole pan and sauté the spice paste until fragrant and the oil has separated from the paste again. Pour in the reserved mutton stock and bring to a boil. Add the mutton and the tomato to the pan. Braise on medium heat until meat is tender and gravy is reduced. Season to taste.